Sometimes an App on your MacBook just doesn’t want to play nice. 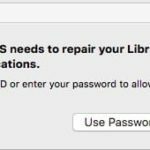 Crashes in macOS and OS X happen rarely and when they do, they are relatively easy to fix. In this article, we walk through some of the common tips to troubleshoot when your Mac Apps crash on a regular basis. When apps crash on your MacBook, it’s often related to corrupt user accounts, memory problems or corrupt preference files following an OS update. Luckily, most of these types of problems are easily located and fixed. Occasionally, an app simply just freezes and doesn’t quit or show an error message.Or your Mac becomes totally unresponsive and you probably see what Mac users affectionately call the “spinning beach ball”. This could signal other performance problems with your Mac. It is important you identify if the spinning ball issue is related to a single problematic app or if your entire MacBook is messed up. 0.1 Do Other Macbook Apps Work? 0.2 Is a corrupt document causing your MacBook App Crash? 0.5 Did you connect a new device to your MacBook? 0.6 Does Your MacBook Disk need Repair? 0.9 Apple Apps are crashing, What Can I Do ? Do Other Macbook Apps Work? If your current app has stalled, try switching to another app by pressing Command + Tab key or opening a new app from your dock. When other apps open without hiccups and the spinning ball appears only on the problem app, the first course of action is to force-quit the problematic app. If force quitting by pressing Command+Option+Esc keys does not work with the app, open up your Activity monitor. Click on Applications > Click Utilities and then click on Activity Monitor. Using the search field on the activity monitor, locate your problematic app. Click the app to select it and then click on the “x” button at the top of the menu to kill the app. This will shut down the problematic app. 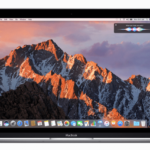 Is a corrupt document causing your MacBook App Crash? Try launching the App again, this time, while holding down the shift key. If it starts up without any issues, chances are that the files that you were using in the prior session of the app were probably corrupted. 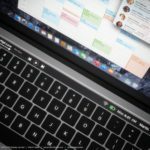 At this point, you may want to check and see if there are new updates available for this app in the AppStore and update your MacBook and see if it resolves your issue. You may otherwise have to identify the corrupt file and move it to trash. If relaunching or force quitting doesn’t work at all and your overall Mac seems to be frozen (mouse pointer doesn’t respond), move on to the next step. Try to force a restart of your Mac by pressing the Command+Control+Eject keys or by choosing  > Restart from the top menu. If your MacBook doesn’t respond to the restart keys, you will need to press and hold the power button until your Mac shuts down and then restart your Mac by pressing the power button. If the app that is crashing or freezing is a third party app, you may want to check out the app extensions or plug-ins. Try to turn them off one by one to locate the extension that is the culprit. 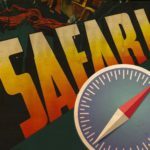 We have seen this issue with Safari extensions in the past where third party app extensions have caused heartaches. Folks that use third party apps such as Send later with their Mail have sometimes seen their Mail crash. Usually, the problem is that of an older version of the plug-in. Once you update the third party app to the current version, the crash issue is resolved. The best way to rule out extension/plug-in issues that may be causing your app to crash is to run an etrecheck. 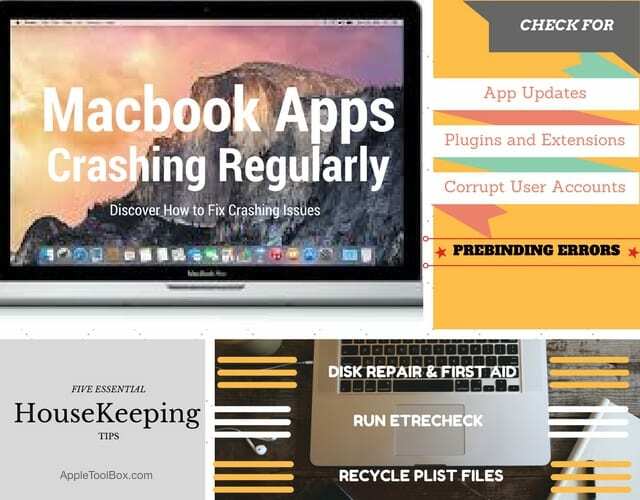 This is very popular software that is available free to you and it can help you diagnose numerous issues with your Mac. Once you have completed the etrecheck, look at the report and try to locate processes that are not loading or failing. This will highlight the extensions or device drivers that are causing problems and need to be updated or removed from your Mac. The etrecheck report also provides valuable insight to the overall performance of your Mac. If you find that the Performance is poor or below average at the top of the report, you may be running out of space and need to upgrade your 4GB RAM by adding extra memory. Did you connect a new device to your MacBook? There are times when new peripheral devices can cause heartache. This happens because the device driver may be old or may not be compliant with the app that you are having issues with. You can try to disconnect any new devices that you may have recently attached to your Mac one by one and restart your Macbook and check. By isolating the problematic peripheral, you can hopefully fix the issue. Does Your MacBook Disk need Repair? 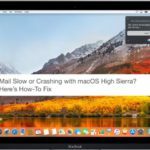 Users who have an older MacBook/Mac and have recently upgraded their OS X may sometimes experience app crash issues that are driven by disk errors. To rule out any disk related issues, perform a Disk Repair. 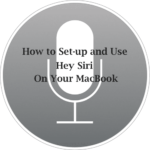 In order to start this process, you will need to shutdown and restart your Mac. Press the Command and R keys after the startup chime when your Mac is restarting. Click Disk Utility and start the process by following the guidelines from this Apple document. Since you have performed a disk repair, this may be the appropriate time to rule out any hardware related issues by running the Apple Hardware test. This will help evaluate the RAM, graphics board and other components that can cause weird errors on your Mac. Follow Apple’s instructions for performing a Hardware test. There is an important difference between how your problematic app shuts down. When the app quits unexpectedly on its own, its known as a Crash. When the app starts up but gets stuck, as in spins, it is known as Hang. This distinction is important as your system logs in the error messages in the application console. You can always open up a session using your console utility. If you have followed the steps above and have found that your MacBook/Mac doesn’t have any hardware issues or resource related issues, extension related issues, your best bet would be to uninstall the third party app, clear all its files and then re-install it from the app store. When you are trying to uninstall the app, instead of just dragging the app to trash, follow the app developer’s uninstall guidelines to completely remove the program and all its associated components from your MacBook. Apple Apps are crashing, What Can I Do ? 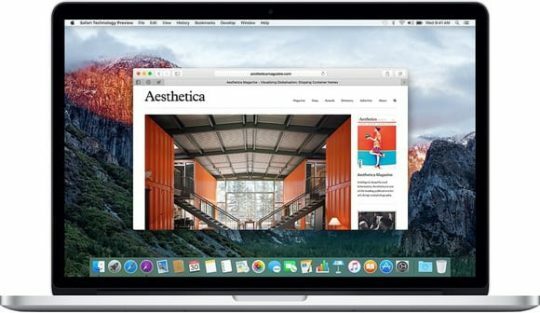 If your crashing or problematic app happens to be an Apple built app such as Mail or Safari, you may want to explore some of these additional steps. The simplest way to tackle this is by logging out of your user id and trying a different user id on your MacBook. Do you have problems with the app when using the different id? If you find that your app is more stable with the new id, you may have a corrupt user account. 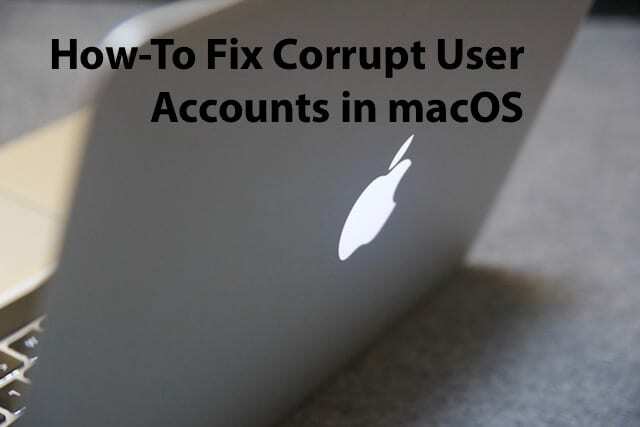 We have published a detailed article that helps you troubleshoot issues related to corrupt user accounts on your MacBook/Mac. Please check the article below to make sure you are not having issues related to corrupt user accounts. When trying to locate the preferences files, you may find that some of these folders are hidden on your MacBook. Follow the steps below to see all the preference files on your MacBook. Open a new Folder session and bring it to the foreground. 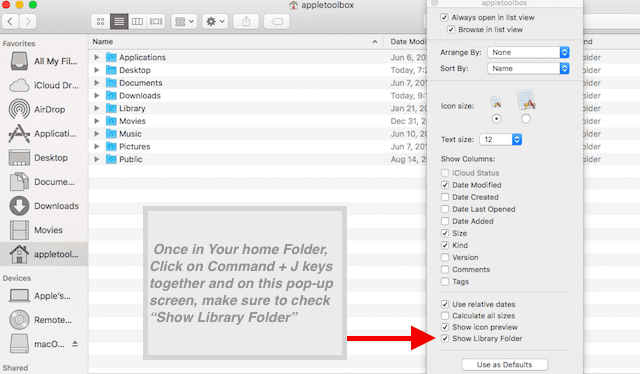 Now, Press Command + J keys together and from the pop-up window make sure that “Show Library Folder” is checked. This will then show you the hidden Library folder. What are these preference files? These preference files on your mac hold the startup and permission-related information associated with the app and the user. The preference files are available for all the Apple apps that you run on your MacBook. Typically, when Apple apps are crashing or not working correctly on your MacBook and you have already tried the “Safe Mode” to no avail, you can recycle the associated preference files. and move these files to the trash. Restart your Mac after this exercise and check if the app that was crashing behaves better. Sometimes your MacBook App just doesn’t launch when clicked. This could be due to pre-binding issues associated with the app. This issue is rare and you can try this as the last effort. In order to rule it out, you can use a Terminal session and try manually updating the binding information. You will need to log in as an administrator on your Mac/MacBook. Type: sudo update_prebinding -root / -force and press Return. Enter Your credentials and hit Enter again. The process may take a few minutes, and you may see various messages flash by which is normal. The process is complete when the Terminal returns to a normal prompt. Now try to re-launch the app by clicking on it. Although there is no one single antidote to prevent apps crashing, you can still take regular maintenance steps to minimize the chances of crashing apps. Use the Disk-Utility tool on your Mac and regularly check for problematic disk permissions and fix the related issues. Empty your application caches on a regular basis. Turning on your MacBook using the Safe mode sometimes clears up problematic caches. Defragment your hard disk on a regular basis. You can use one of the numerous third-party utilities available to do this. We hope that you found these tips helpful. Eight out of ten times, we have found that the main reasons for your apps crashing regularly on your MacBook are due to either corrupt user accounts/permissions or a third party app that has not been updated following a macOS upgrade. By following the regular housekeeping tasks listed above, you can minimize some of the problems from happening on your MacBook. Are there other tips that have worked for you when you have found yourself facing a problematic app? Please share your favorite tips/tricks below.